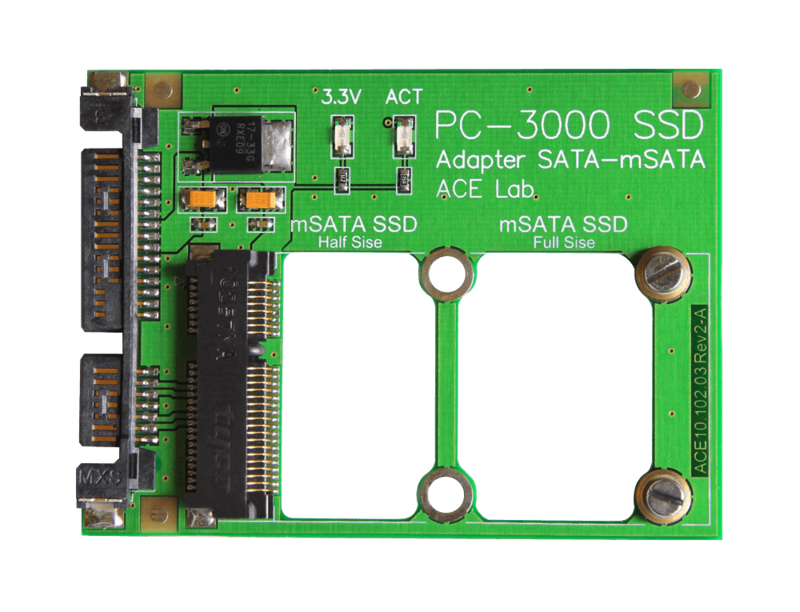 Used in laptops, desktops and external storage devices, SSD and USB technologies are becoming more popular, with more recovery cases coming every day. The SSD adapters allow to connect M.2 and mSATA SSD drives to the PC-3000. 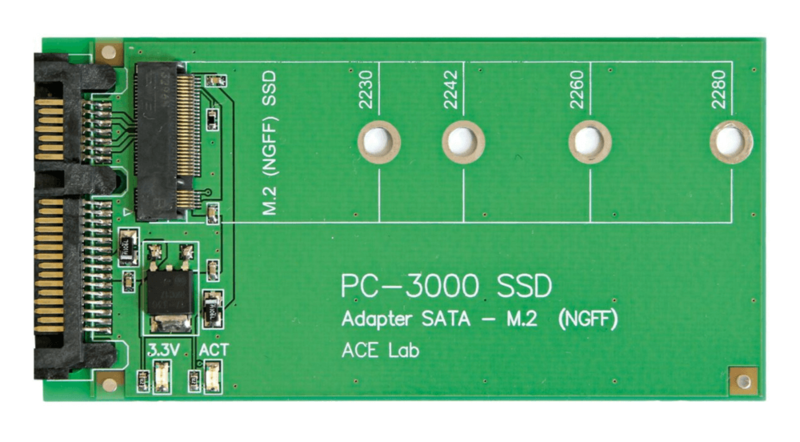 These adapters are indispensable for all Express and UDMA users who want to handle Solid-State Drive cases with the widespread mSATA and M.2 form factors. 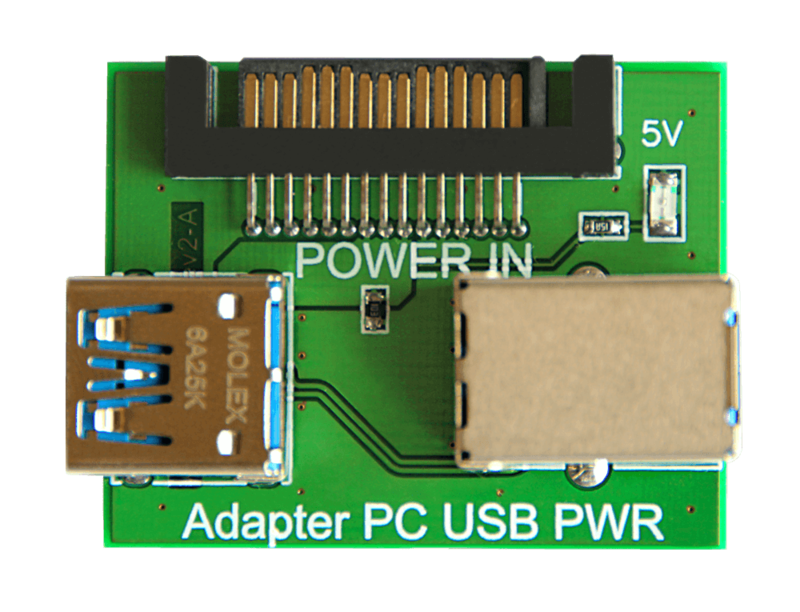 The PC-USB PWR adapter makes data recovery from malfunctioning USB devices quicker and easier, providing power switch functionality and automating resetting process in the Data Extractor. The adapter is especially useful in cases when a device allows access to data, but freezes or requires resetting to continue working correctly. The adapter automates the resetting process and enables the engineer to control it via the Data Extractor, without the need to manually plug the cable. USB 1.0, USB 1.1, USB 2.0, USB 3.0 devices are supported.